Venus is often called the ‘morning star’ and ‘evening star’, since it is the brightest natural object in the sky after the Moon, but is visible at night within only about three hours of sunrise or sunset. Radar beams penetrated through Venus’s thick cloud layers to reveal these surface images of both sides. The ancients named it after the Latin goddess of Love. Venus is the second planet from the Sun, has the most circular orbit of all planets, and is the planet that approaches closest to Earth—42 million km (26 million miles). It is so similar to Earth in many ways that it could be considered our sister planet. But as will be seen, there are also huge differences—Earth is designed for life, while Venus is about the nearest we have to the medieval descriptions of Hell, so ancient identification of Venus with Lucifer1 seems inadvertently apt. ‘And let them be for lights in the expanse of the heavens to give light upon the earth: and it was so. Nebular hypothesis or nebulous hypothesis? Venus provides a major problem—the nebular hypothesis predicts that as the nebula spiralled inwards, all the resulting planets would rotate in the same direction (prograde). But Venus rotates in the opposite direction, called retrograde. Evolutionists once tried to explain this away by proposing that Venus rotated prograde at first, but it had a bulge on which gravitational tidal forces on Earth could act, and turn the rotation around. Aside from the weakness of tidal forces, which decrease with the cube of the distance, it is now known that Venus is even rounder than Earth so there is no bulge on which to act. Venus’s chemistry is also very different from Earth’s. For example, the ratio of the isotopes of the inert gas argon (used to fill light bulbs), i.e. 36Ar to 40Ar, is 300 times greater than on Earth. If the nebular hypothesis were correct, then it would mean a vastly different composition in the region of Venus, and such differences are implausible in a relatively small region of a nebula. Another problem for evolutionary theories about the planets is their magnetic fields. As has been shown elsewhere,4 Earth’s magnetic field is a good example of design, and the field’s decay (as well as the evidence for rapid magnetic field reversals) is excellent evidence for a young Earth. But no spacecraft has detected any magnetic field on Venus, and the sensitivity of the instruments places an upper limit on any magnetic field of 25,000 times weaker than Earth’s. Evolutionists believe that planetary magnetic fields are explained by self-sustaining dynamos, so they explain Venus’s weak field by its much slower rotation (243 Earth days for one rotation). But Mercury also rotates slowly (58.82 days), yet its field is about five times stronger than Venus’s, while Mars rotates almost as fast as Earth (1.03 days), but its field is less than 1/10,000th of Earth’s. 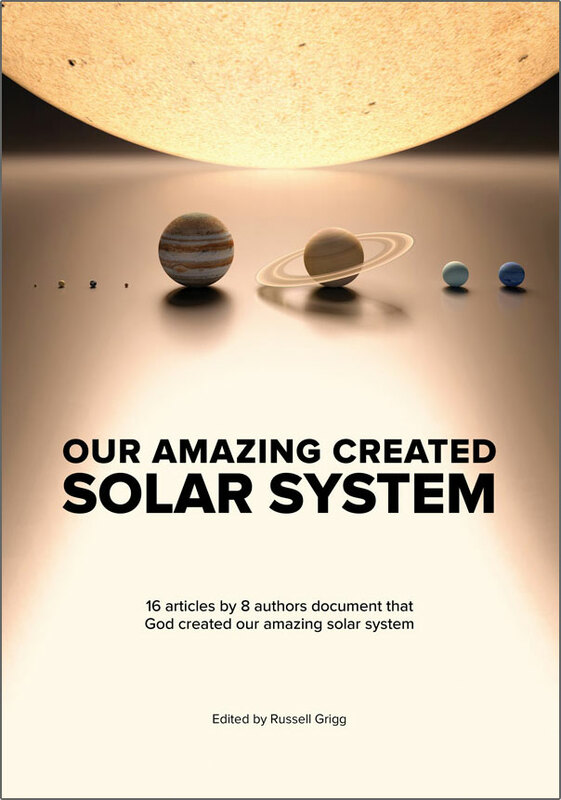 However, the theory of the creationist physicist Dr Russell Humphreys explains all the data.5 When all the planets’ cores were formed, they started off with a magnetic field produced by a decaying electrical current. The smaller the core and the poorer electrical conductor its material was, the faster the field would decay. It is thought that Venus has a smaller and less conductive core than Earth, so the field is now very weak, just as the Humphreys model suggests. The phases of Venus as seen from the Earth. When Galileo (1564–1642) looked through the newly-invented telescope, he discovered that Venus has phases like the Moon. But the Moon is always brightest when it is full, where we see light reflected from a whole hemisphere, and dimmer when it’s in a crescent phase where we see light reflected only from a tiny fraction of the surface. However, the brightness of Venus doesn’t change that much. 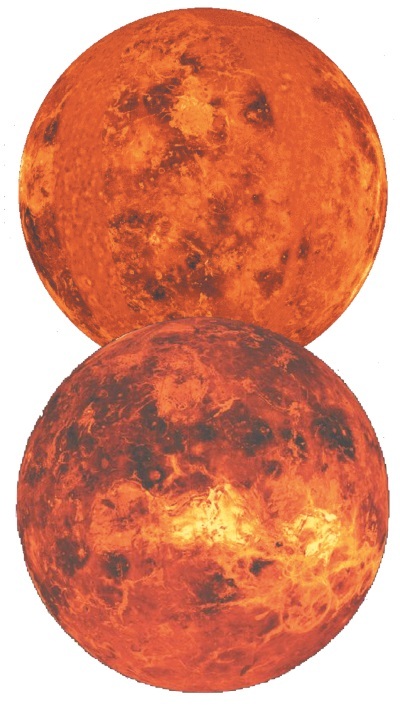 Galileo realized that, unlike the Moon, which orbits the Earth, Venus orbits the Sun.8 Thus the ‘full Venus’ occurs when Venus is on the opposite side of the Sun from the Earth; the extra surface reflection is counter-balanced by the far greater distance. The ‘crescent Venus’ is actually brighter than the full Venus because it is so much closer to us. The time taken for Venus to return to the same orientation towards Earth, e.g. between one full Venus and the next, is called the phase cycle or synodic period. Showing that so-called primitive cultures were nothing of the kind, the Mayans of South America calculated the synodic period at 584 Earth days, incredibly close to the modern scientific figure of 583.92 days,9 and they did so without telescopes and (probably) without realizing that Venus orbits the Sun. Note that this is not to be confused with the sidereal period, the time for a complete orbit of Venus around the Sun, relative to an observer outside the solar system, which is 224.7 days. This is consistent with the purpose of the heavenly bodies given in Genesis 1:14. As shown in ‘Venus Facts’ (see box below), Venus and Earth are almost the same in size, density and gravity, and Venus is almost 3/4 Earth’s distance from the Sun. Yet this seemingly small difference in distance makes a huge difference to the temperature. Earth is at an ideal distance from the Sun, and also has an atmosphere that provides a greenhouse effect, mainly due to water vapour (0.15%) but also to carbon dioxide (CO2, 0.03%). This means that most of the Earth is in the narrow temperature range that allows water to be liquid. It is the only place in the universe known to have liquid water, aside from the possibility that Jupiter’s moon Europa has an underground ocean. Conversely, Venus, only a little closer to the Sun, was hot enough to drive out CO2 from carbonate rocks (e.g. limestone) and so has had a runaway greenhouse effect, of a type that could never happen on Earth. It has a thick atmosphere of CO2, and a pressure 90 times that of our own atmosphere, or as much pressure as at a kilometre’s depth in Earth’s ocean. This results in a surface so hot that it would melt lead and glow red. None of the large molecules required for life would stand a chance. Also, the thick clouds reflect 76% of sunlight, which is why it is so bright. They appear slightly yellow because of some chemicals that absorb a little blue light. But the clouds mean that very little sunlight reaches the surface, although the Venera 9 and 10 spacecrafts were able to take photographs. However, the atmosphere is so thick that light bends markedly, so that an observer (extremely well protected!) on Venus would see some light even at night. Even more amazingly, the atmosphere would bend the light so much that an observer in any location could see the entire surface of Venus—it would seem like being at the bottom of a vast bowl. If that weren’t enough, the clouds do not comprise water droplets like Earth’s, but instead contain concentrated sulfuric acid (H2SO4), and possibly some iron chloride (FeCl3) crystals. Source: ‘Venus’, The New Encyclopædia Britannica, 12:311; ‘The Solar System, Venus’ 27:524–530, 1992; Britannica© CD 2000, 1994–1998. 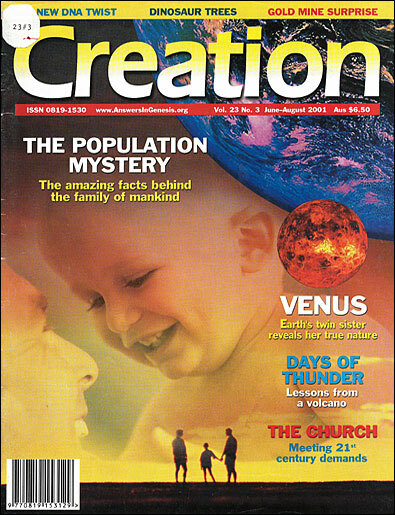 Encyclopædia Britannica, Inc.
Venus is a beautiful-looking heavenly object, created as a sign and a marker of times, and provides a stumbling block against evolutionary theories. But the outward beauty hides an almost unimaginably harsh interior, and teaches us how finely God tuned the Earth’s orbit to support life. Jerome, who produced the Vulgate, the major Latin translation of the Bible, translated the Hebrew word heylel in Isaiah 14:12 as ‘Lucifer’, although it simply means ‘morning star’ or ‘star of the morning’. Lucifer literally means ‘light-bearer’ and is one name of the angelic being who fell and became Satan (= ‘adversary’). Some older English translations reflect the Vulgate influence in this verse. Return to text. 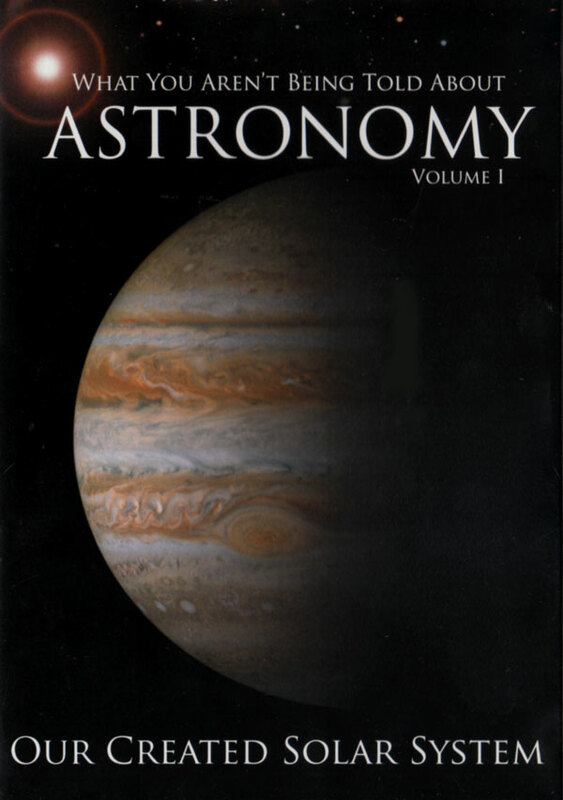 [At the time of writing] I am yet to be convinced that such extrasolar planets exist, because of many examples of ‘crying wolf’ and wishful thinking—see Kalas, P., Dusty disks and planet mania, Science 281(5374):182–183, 10 July 1998. However, some creationists think that some are genuine, e.g. Spencer, W., The existence and origin of extrasolar planets, TJ 15(1):17–25, 2001. All agree that they present new problems for evolutionary theories of the origin of the solar system. For example, the best established claims are of gas giants bigger than Jupiter but orbiting their star closer than Mercury does our Sun. At this distance, ice would evaporate, whereas it is thought that ice is essential so that a growing planetoid would become massive enough to attract gas. Also, gas would have been blown away when the early star goes through the T-Tauri phase. This is a problem even for the alleged evolutionary formation of the huge planets in our own system many times further from the Sun than Earth, so how much more would it be a problem for these alleged extrasolar gas giants? So speculative theories are proposed in which giant planets migrate millions of miles inward after formation. [I now think that genuine extrasolar planets exist, and are still problematic for evolutionary theories. See First light from extrasolar planets and Planets and migrating theories.] Return to text. See Spencer, W., Revelations in the Solar System, Creation 19(3):26–29, 1997. Return to text. Sarfati, J., The earth’s magnetic field: Evidence that the earth is young, Creation 20(2):15-­17, 1998. Return to text. Humphreys, D.R., The Creation of Planetary Magnetic Fields, CRSQ 21(3):140–149, 1984. Return to text. Face of Venus Website: 3.0 Impact Craters, eps.mcgill.ca, 30 March 2001. Return to text. See their exchange in J. Creation 14(1):46–49, 2000 for similarities and differences in their proposals, and the references to their papers therein. Return to text. For information about Galileo’s dispute with the Roman Catholic church and how his theories conflicted with Greek philosophy rather than the Bible, see Grigg, R., The Galileo Twist, Creation 19(4):30–32, September–November 1997 and Schirrmacher, T., The Galileo Affair: history or heroic hagiography, J. Creation 14(1):91–100, 2000. Return to text. Cardno, S., The mystery of ancient man, Creation 20(2):10–13, 1998. Return to text.